Remember when ordering mailboxes meant squinting at the tiny print in a huge catalog filled with tables full of dimensions for every mailbox? Thankfully, the internet has changed that forever, and U.S. Mail Supply is leading the charge to make buying mailboxes easier for Iowa homeowners and businesses. U.S. Mail Supply carries everything from single, wall-mount mailbox units to large, cluster style mailboxes for apartments and office complexes. 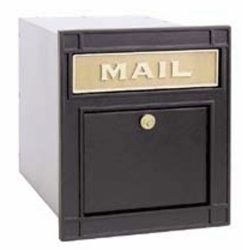 All the mailboxes we carry are top-quality, American-made, and available in a wide range of styles and colors. We also carry drop boxes, key keepers, parcel lockers, trash receptacles and even containers for dog walkers to deposit their pets’ droppings. Our inventory is massive, so if you need any help figuring out what mailbox will work best for your location, or if you have questions, give us a call or email us. Our goal is to make this as easy as possible. Despite the fact pretty much everyone has an email account these days, business does not live on email alone. Especially businesses that need to mail out products and receive payment by check. 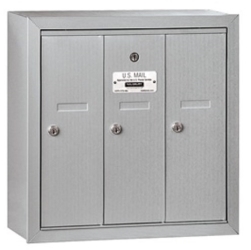 U.S. Mail Supply has both USPS approved and private use only mailboxes in all sizes and configurations, with the option of customization to fit any space. 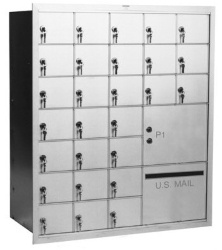 Thanks to a versatile, modular design, the 4C mailbox is used in and around more buildings than any other mailbox. 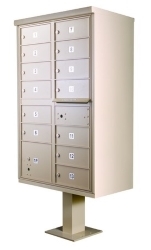 Besides standard configurations, they can be custom designed by choosing from different sized mail slots and parcel lockers. They’re available in a variety of colors to complement virtually any building’s color scheme. If you want the mailman to deliver your incoming mail and pick up your outgoing mail, you're going to need a USPS approved mailbox. While most of our mailboxes are built to USPS standards and can be approved for postal service use, it’s best to order a pre-approved mailbox if you know you want the Postal Service to deliver your mail. 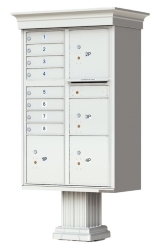 Surface mount, recess mount or pedestal mount, U.S. Mail Supply has a mailbox for every apartment or condo. All our mailboxes are top quality, American-made, equipped with secure locks and finished with a vandal-resistant powder coat. Choose from USPS approved or private use only models. Iowa is known to have some brutal winters. Rain, sleet, snow, and ice-melting chemicals getting splattered on mailboxes all conspire to take a toll on outdoor mailboxes—which is why U.S. Mail Supply only carries quality, American-made mailboxes built with powder coated steel and heavy-gauge aluminum. Indoor mailboxes may not get the brunt of Iowa winters, but they still have to withstand the slamming of doors, random acts of vandalism, and attempted break-ins by mail fishing lowlifes. Don’t waste money on cheap mailboxes you’ll have to replace. 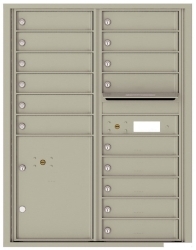 Invest in quality-built, long-lasting mailboxes from U.S. Mail Supply. Whether you’re a homeowner or a home builder, the temptation to go with a cheap mailbox is understandable. Unfortunately, it rarely ever works out. Spare yourself the hassle and expense of having to replace a monkey metal junk mailbox when it breaks by getting a quality, American-made mailbox from U.S. Mail Supply. Mail sorters aren’t just for sorting mail. 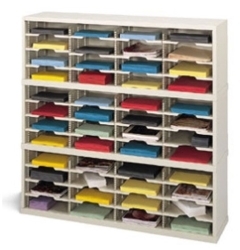 They’re also ideal for keeping brochures, flyers, forms and other paperwork organized and readily accessible. 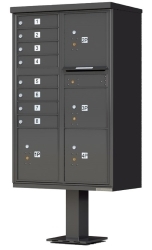 The mail sorters we carry are all US-made from welded steel and available in open or closed back versions, as well as lockable, HIPAA-compliant models. If you need to get organized, you’re in the right place. U.S. Mail Supply is all about making your life a little easier, at least when it comes to the task of buying mailboxes. With so many mailboxes to choose from, though, deciding what will work best for you can be an issue. That’s where our customer service staff comes in. If you have questions about any of the mailboxes we carry, or need a recommendation, just call us (or email). We want you to get the right mailbox as much as you do, so don’t hesitate to get in touch with us. Often, buildings have lobbies or mailrooms that make a stock mailbox configuration impractical. If you’re having a hard time finding something to work in your space, or need something a little different than what you see in our inventory, we’re here to offer free design assistance. To get started, just click the option below that best matches the type of mailboxes you’re considering. After answering some questions about your needs and preferences, you’ll send your responses to us. Our designers will then come up with a solution, create a rendering of how it will look in your space, and send it to you along with a price quote.